Water heaters are often forgotten about until we need them. We’ve put together a guide to water heater maintenance that will help keep your water heater strong. • Know if your water heater is a gas, electric, or tankless model. Gas models will have a pilot light near the bottom of the unit. • Always read and follow the manufacturer’s instructions for your specific water heater model regarding how and when to perform maintenance tasks. These are general tips and are not meant to replace your manufacturer’s recommendations. • Pay attention to your home’s hot water production. 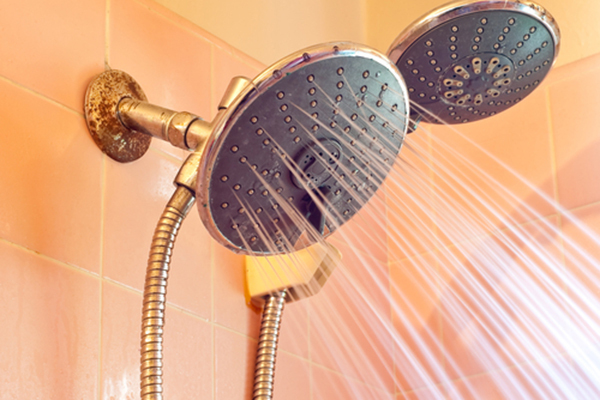 If you notice a drop in the amount of hot water, cold bursts coming from faucets when the hot water is turned on, unusual noises, or if it seems to take longer than usual for hot water to come through the pipes, these may be signals that you’re headed for water heater problems. • Be familiar with your water heater unit and its components. You’ll need to know how to adjust the water temperature, how to shut off power to the unit, how to close the water shutoff valve, and where the pressure release valve is located. If it’s a gas unit, you’ll need to know where the gas supply line is, too. • For safety, wear heavy gloves and goggles when working on your water heater. • Draining your water heater regularly helps eliminate sediment, minerals, and debris that can harm the tank and that may cause a malfunction. Check your manufacturer’s recommendations for how often you need to do this. Many plumbers suggest draining the unit once or twice a year, depending on how many people are in the household and how much the water heater is used. • To drain a water heater, shut off the water and power to the unit. If it’s an electric model, flip the power off at the circuit breaker box. For gas units, turn the pilot light gas supply line valve to the off position. After you shut off the water, attach a hose to the water heater spigot located near the bottom of the appliance to drain the water. You’ll need to decide where the drained water will go. If the hose will reach outside, you can drain into your yard, or you may be able to use a basement floor drain or a large tub. Keep in mind that the water inside the tank will be very hot, so allow some time for the water to cool before you begin the draining process, if possible, and be very careful when handling the hose. • Once the hose is securely attached and positioned, turn the spigot to open the water flow. Then, open the unit’s pressure release valve (often found at the top of the water heater) to allow the water to run out from the unit. Draining the water can be a slow process and may take a half an hour or longer.